All along I felt in my gut there was something wrong with him. A cobwebbed pagan on a post adorns the protagonist's credit. It is probable that this particular pagan once navigated the woods à la Evil Dead and attended the kind of parties Stanley Kubrick featured in his films. There's a sophisticated fairy tale for you. 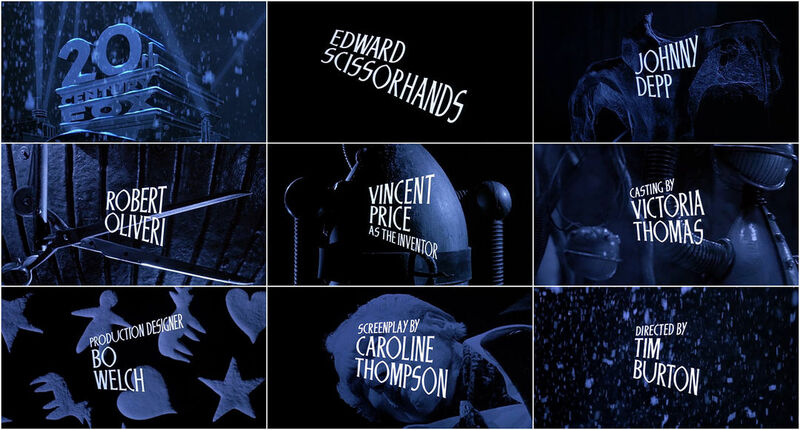 Robert Dawson's opening title sequence for the great Edward Scissorhands has all the meticulous detail and matching heart of his best work: anthropomorphic steampunk featuring fantastic tinkerings and riveted, wrought-iron cadavers (including production-line shells exhaling through knived teeth) in a wonderful blue-lit thalassic hue. 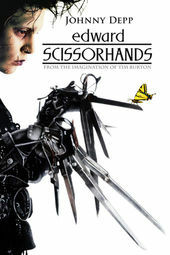 The articulating scissors and human hands offer a nice visual poetry while a beatific portrait of Vincent Price – this his last feature film – curlicues in opposition from the clockwise torquing type. Everything moving to Danny Elfman's otherworldly, natural score.